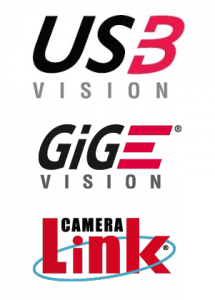 Critical Link’s depth of experience in image sensor technology, SoC and FPGA design, vision protocols, and signal processing expertise uniquely position us as a premier development partner in embedded imaging system design. We work with OEMs in industrial, scientific, medical, and defense markets to develop and manufacture cost-effective, custom imaging platforms around a variety of technologies. The sensor is a critical centerpiece of any embedded imaging system. 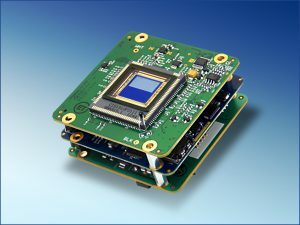 Our engineering team has designed imaging platforms around a wide array of image sensor technology, including CMOS/sCMOS, CCD, linescan, InGaAs, and infrared/NIR, and others. As the heart and brains of our imaging platforms, our MitySOM-5CSX module features dual Cortex-A9 ARM processors and field-programmable gate array (FPGA) fabric inside an Intel/Altera Cyclone V System on Chip (SoC). 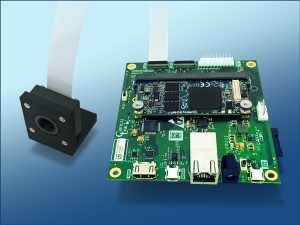 Critical Link makes the ARM and FPGA resources available, which means your custom image processing algorithms can be housed entirely within the camera itself. Critical Link is also a leading partner when it comes to implementing OpenCL for FPGA development and application acceleration. With our OpenCL solution, many of the most demanding embedded imaging applications can be implemented without requiring a PC in the loop. Contact us at info@criticallink.com to learn more. Critical Link offers multiple interfaces and imaging protocol options, including HDMI, USB3 Vision®, GigE Vision, Camera Link, USB 2, Ethernet, GenICam, DisplayPort, and others. I/O boards can be customized to accommodate any combination of interfaces and power requirements, and to fit any form factor. Customers often have an existing enclosure or footprint that their imaging platform must fit within, however in some cases they do not. In those instances, we are well-equipped to engineer the mechanical design of your imaging system, including supporting integration of the electronics into your mechanical enclosure to provide a new production-suitable package.